It is a well-known fact that yoga on land is entirely different from that on a board. Balancing on the board on uneven waters requires extra balance strength and concentration. If you practice this in the serenity of nature, your mind and body will unite and be in harmony with the board. 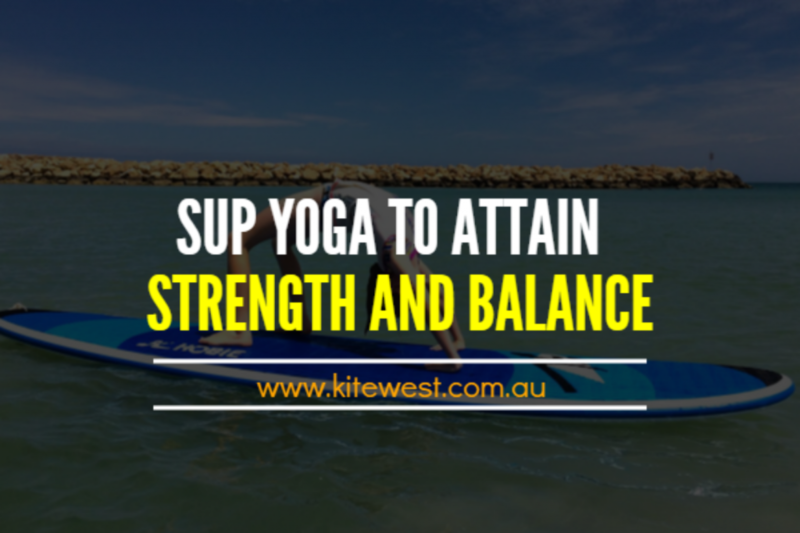 To attain immense strength as well as an equitable balance, grab your SUP board and head to a calm water body. Three-Legged Downdog – This posture strengthens and stretches the entire body. Attaining balance is quite challenging in this pose. Begin with both hands and legs on the ground, twist the toes underneath and lift your hips up high. Gradually draw your feet near and lift one foot to the sky and bend the knee at 90 degrees. Hold this pose for 30 seconds and later switch sides. Upward Facing Dog – This posture reinforces the upper body while stretching the spinal and chest region. 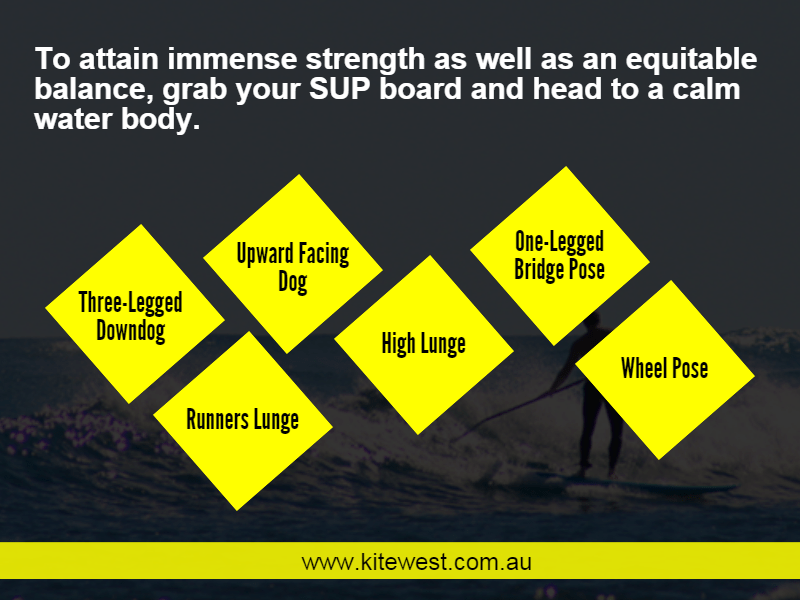 From down Dog, move into a board position and lower the hips toward the SUP board. Breathe in, lift your chest up and release the shoulders far from the ears. Hold this for 30 seconds. Runners Lunge – Runners lunge builds flexibility while permitting the body to move to a high lunge. From the board posture, step your right foot forward and keep your knee at 90 degrees. Hold for 30 seconds and move to High lunge before exchanging sides. High Lunge – It is quite difficult to keep your balance while performing this posture. This stretches the hip flexor region. From runners lunge, lift the upper body and raise your arms overhead. Hold for 30 seconds and move to runners lunge on the other side and repeat the high lunge. One-Legged Bridge Pose – This posture enhances gluteal, lower back and leg strength. To begin lie down on your back and put hands by the side. Breathe out, lift your hips and draw your feet together. Gradually, lift your right leg toward the sky. Hold this pose for 30 seconds and then switch sides. Wheel Pose – This is a challenging pose as this stretches the chest region, stomach and hip flexor muscles. From bridge posture, lie on your back with your feet hip distance apart. Place your hands close to your ears, elbows must face the sky. Breathe out, gradually lift your hips toward the sky and hold for 30 seconds.